Editor's note: This is the sixth in a series of posts by Dennis Horne about collectible books. The introduction is here. “For some time Roberts had been working on his biographical study of President John Taylor. On January 20, 1891, he had written to L. John Nuttall, who had served as President Taylor's secretary, requesting details of the passing of President John Taylor at Kaysville in 1887, ‘as I have reached that stage in my work when I need it.’ It became the last chapter of the book. “Apparently he had been gathering material on this subject since the 1880s, just after his mission to Britain. In February 1891 he wrote to the Taylor family to say he had completed seven chapters and had presented them to the First Presidency (Wilford Woodruff, George Q. Cannon, Joseph F. Smith) for ‘review, examination and correction.’ Elders John Jacques and L. John Nuttall, who had served as President Taylor's secretaries, were assigned to carefully scrutinize the manuscript. For nearly a month they met frequently with Roberts and made suggestions. By late March nine chapters were completed and approved, and the book was published early in 1892. “The Taylor family (two sons, John J. Taylor and John W. Taylor, were executors of the estate) had commissioned Roberts to write this memorial. Their decision perhaps reflects the esteem President Taylor had for the thirty-five-year-old Roberts. Roberts was given access to John Taylor's own journals and his personal papers. Members of the Taylor family were open, cooperative and conscientious in responding to Roberts's searching queries in interviews. Since President Taylor's own counselor, George Q. Cannon, was related to John Taylor by marriage and had (Roberts believed) himself aspired to write his biography, Roberts felt a special responsibility. “The biography seems today almost a eulogy which sober rethinking would qualify. But four decades later, Roberts printed his tributes to the ‘commanding strength’ of John Taylor, unmodified, in his A Comprehensive History of the Church. Life of John Taylor is one of several late nineteenth-century and early twentieth-century biographies of Church leaders (Joseph Smith, Parley P. Pratt, Wilford Woodruff, Heber C. Kimball, Brigham Young, etc.) 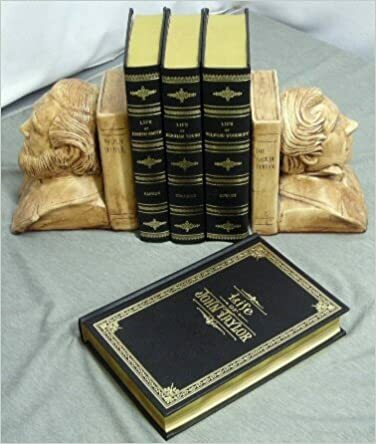 that are considered classics and are now highly collectible and sought after in first edition, and even more so in fine presentation leather bindings.